Hello, VCPs-in-training (or soon to be)! Thanks for keeping up with this special series on VCP certification. 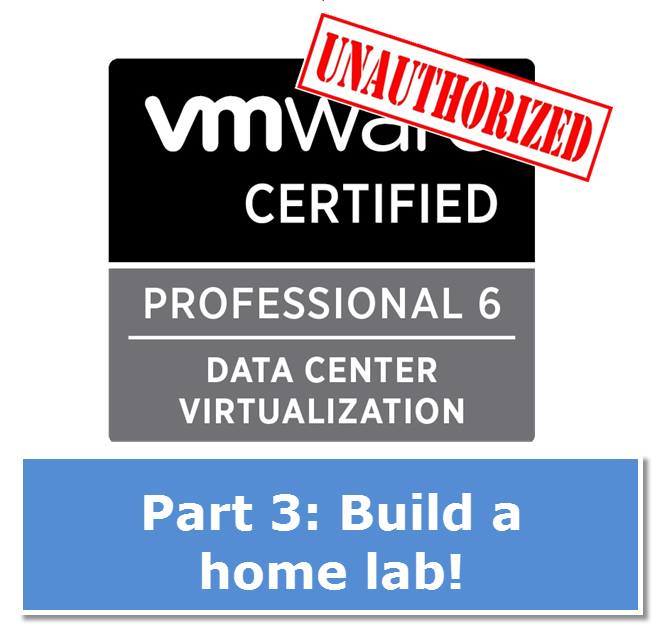 This is the 4th installment of my completely unauthorized VMware certification guide. If this is your first visit, welcome! Go here and find the first article to get up to speed on everything. Books and simulators will only get you so far. If you want to really know this stuff, you need to actually need to work with it. If you’re lucky like me, you work in a VMware shop and use vSphere daily- good for you! Not everyone, however, has access to enterprise-grade hardware and licenses to mess around with. But fear not! 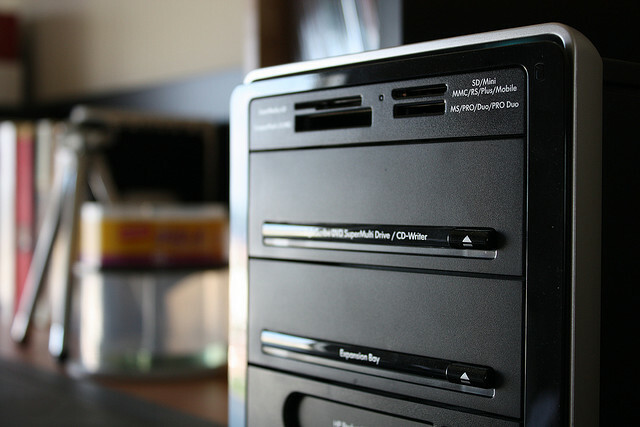 I will show you how I put together my home lab very affordably, and how you can too. Some people can learn IT concepts and techniques by reading a whitepaper or watching a video, but most of us have to have some experience. vSphere is a complicated product, and you will not likely pass the test with out some hands on experience with it. Even if you work with VMware every day, you still want a lab environment- because hey- I think we can all agree that testing and playing around on production systems can lead to a “resume updating incident”. Obviously, you would never do that. But you need to practice somewhere. This is what you lab is for. There are basically 3 ways you can do a lab. A simulator is a nice way to get some hands on experience. The best part of simulators? They generally are vendor-provided- usually at no cost. A simulator spins right and is ready to use. They also usually run on the latest versions of software and are hosted in the cloud somewhere. The downside to simulators is that sometimes they are little more than selling tools. They can give you just enough to want the product more. You also get little control with a simulator. You’re normally presented with scenarios to work out, but you can’t really do whatever you want to, which is a bit limiting. While there are paid simulators out there, the free one (yay!) is VMware’s Hands On Labs. The HOL doesn’t let you do anything and everything, but you can definitely get your feet wet. I personally think they’re pretty neat, but certainly not enough to get certified. If you are in a college class or a VMware training course, you will usually get access to some kind of virtual lab environment that has more flexibility. Either way works very well- since PCs are abundant and cheap. This has been heavily documented, so I won’t rehash it all here, but the basic idea is you create a full environment at your home or work, then can do whatever you want without worrying about destroying something important, like your work infrastructure and/or job. Mine is a nested hypervisor setup. I have Server 2012 R2 as my base OS, then VMware Workstation on top of that. Inside workstation I have ESXi hosts, servers, and a workstation. This is obviously not enterprise-class, but I can so everything I need to for the test. If I had to go buy this, it could probably be had for under $600. You can also go totally crazy buying (or borrowing) hardware for a full-blown enterprise environment including servers, switches, and storage. Older hardware can be found on eBay for pennies on the dollar. 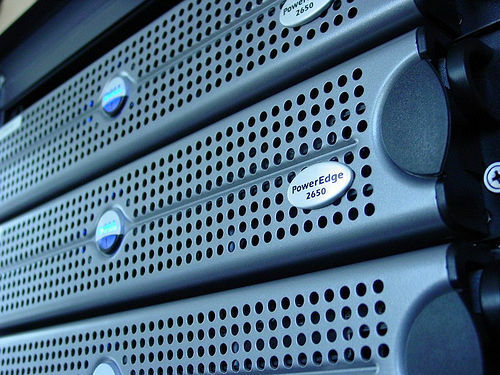 If you can put up a lab with physical servers and networking, you gain a lot of credibility and confidence. You will know what it’s like to build it all from the ground up. There are very real downsides to this approach. If you don’t work in a shop or know someone with a bunch of unused and idle hardware, you need to shell out money for it. While you can find deals online, you also have to deal with expensive shipping and replacement parts. Also, I’m not sure if you have ever been close to a server, but they are usually loud, hot, and energy-hungry. I’ve been close many times to just getting servers at the house, but I’m pretty sure my wife would throw a frying pan at me. Believe it or not, she is not that interested in a device that makes our closet hot and loud and drives up the electric bill. A. Talk to people you work with. Let others in the IT know that you’re building a home lab. You never know who has something they can give you. IT folks are always ending up with hardware. B. Scour the internet. Use Craigslist, FreeCycle, eBay, ServerMonkey.com. Make sure you check out who you’re buying from. C. Buy from closing businesses. Try to befriend some vendors who work in the IT space (cablers, installers, etc). They often know when businesses with tech are closing, and you may be able to scoop up some kit very cheaply (or free!). No matter which way you choose, having a lab environment to work with- that challenges you outside of required learning- will be an invaluable tool in getting your VCP certification. Just review your budget and your options, and don’t give up. Make sure during your process that you pick a regular time to study and LAB EVERY DAY. That’s it for this week! Stay tuned as we walk through this process- you can join the email newsletter (top of screen) to stay on top of new posts. What kind of lab are you running? Let me know in the comments below.